Extroversion, positivity, level-headedness and strong organisational abilities. These are the oft-cited traits of a successful event planner. But trying to define traits that make a successful event planner is awfully limiting as it suggests that most event planners have similar traits. Worst still, it is highly inaccurate. I have had the privilege of meeting extremely successful and very different event planners throughout the years and they have personalities spanning the entire spectrum. Thus, the question we should ask instead is, what kind of event planner am I and what does my personality bring to the table? Using the MBTI (Myers-Briggs Type Indicator) framework, you can find out more about what your strengths and weaknesses as an event planner. INTJs are imaginative and strategic thinkers, with a plan for everything. INTJs like to work alone. They are creative but grounded! Strengths: INTJs are great organisers who tend to have everything under control. 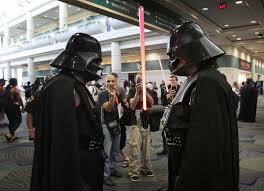 At the same time, they are creative and allow themselves to try new things at events. These event planners have the right mix of pragmatism and adventurism. They also have a strong ability to understand complex things. Difficult procedures, logistical arrangements and navigating complicated situations are no biggies for them. INTJ event planners are naturally level-headed and can remain calm enough to deal with things that go awry in a reasoned manner. Weaknesses and challenges: An INTJ is always hungry for a challenge to be creative. However, event planning can be repetitive and menial especially at the outset. To have the opportunity to execute inspiring and ambitious projects, event planners need to work from the bottom up and prove themselves in less interesting tasks. This may deter an INTJ event planner and easily bore them early on. In addition, their preference to work alone and plan everything beforehand means they don’t communicate as much as they should. This makes miscommunication even more likely and can be fatalistic for the success of an event. Strengths: Independent thinkers who also love to be uncommon, INTP event planners can plan elaborate events that push the envelope while filling a real need. 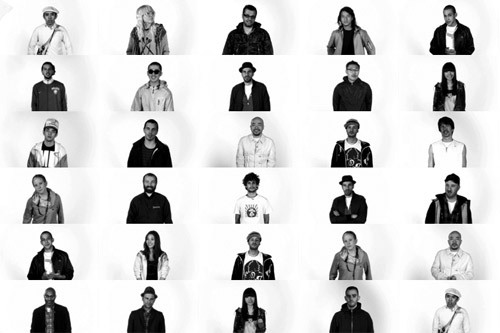 If you want a highly innovative event, these are the people to go to. They shoot for the stars, so don’t worry about hitting the moon! They are also very abled in dealing with complexities so while their plans may seem overly ambitious at times, they can navigate their way through the mess and plan an event that is big, bold and awesome. Weaknesses: Unlike INTJs, INTPs are less grounded to realities. They don’t like dealing with bureaucracy, which is essential for any event planner working around limitations in resources and rules. They are best when working with people who know the realities and can bring them back to Earth. INTPs have a harder time dealing with emotional exchanges and customer service and this may be an obstacle for event planning as much of the work requires understanding the needs of the customer and the event-goer. Bold, imaginative and strong-willed leaders, always finding a way – or making one. Strengths: You can trust an ENTJ event planner to deliver whatever they promise. When they set a goal, they will go all out to achieve it. Their drive and clear sense of direction allows them to be assertive leaders who garner respect from their subordinates, which makes it likelier for them to execute their plans successfully. So while the above two personalities are idea generators, ENTJ is an idea executor personality type. They also tend to be highly resourceful and are able to bend the rules to their advantage. Weaknesses: ENTJs are strong-willed and this may cause them to overlook suggestions given by the people they work with or their clients. Because most event planners work for an external client, they must be able to compromise and place their clients’ needs and desires first. While their intuition of what and how to do things may be right, their clients may not see it that way. Furthermore, their assertiveness can jeopardise their relations with co-workers and suppliers which makes it more difficult to get things done. Their assertiveness and ability to lead others in their direction can become counterproductive. Strengths: While curious and creative like their counterparts above, ENTPs are great communicators who are able to persuade others with their logic and strong reasoning. 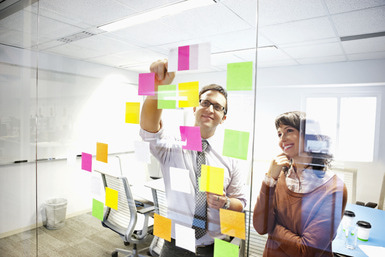 As event planners, they will be able to get people on board with their ideas. They are also always questioning existing methods of doing things and seek to improve it. ENTPs will help make event planning more productive by finding shortcuts and pushing their superiors to answer for any inefficiencies. Weaknesses: ENTP event planners have a disdain for hierarchies and rules and this may cause them to lose patience and passion for their job. Like their counterparts above, ENTPs also hate mind-numbing and repetitive work such as manual attendee registration and attendance management or doing the same sales pitch over and over again. ENTPs need to nurture patience and keep their minds focused on their long-term goals so that they can work harmoniously with these rules and restrictions. 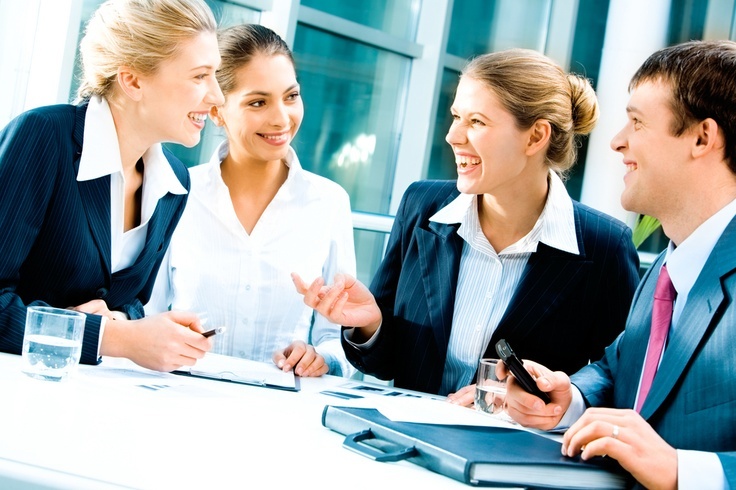 If they can do so, they will shine as an event planner as they have the ability to persuade people to get things done. 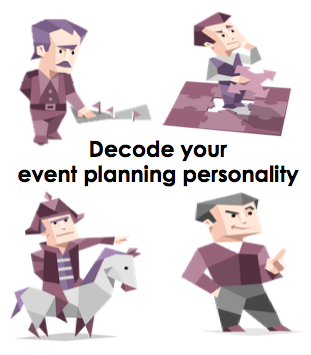 Stay tuned to “What your Myers-Brigg personality type says about you as an event organiser -Part 2” for more analysis for other personality types! To reduce the headache of manual event registration and free up time to plan more innovative events, why not try out EventNook for online event registration, event ticketing and onsite event registration and check-in! The event is set, the invitations have been sent and the RSVPs are looking good. You are all set to throw a huge event. However, come the day of the event, the venue fills up dreadfully slowly, there is no buzz in the air and it’s already 15 minutes past registration time. Maybe there was a train breakdown you didn’t know about or a crazy traffic jam that blocked up all incoming roads. Or, maybe people just forgot about your event. No event planner wants to face that crushing disappointment and sense of defeat. Here are 6 cost-effective ways to prevent such a turnout and ensure people remember to come for your event. Memorability is of course dependent on the quality of your content which can make or break engagement with target audience. To stay on budget, content marketing can be directed at individual bloggers for cross-promotion. 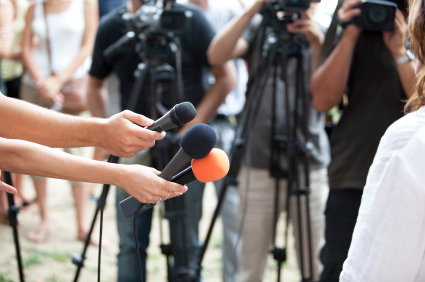 In fact, they may be more effective than traditional media because they have closer connections with niche audiences. Many events like music concerts, parenting events, fashion shows, food festivals and tech events are leveraging on individual bloggers to feature their events and it has been very successful. Your social media strategy can help complement your content marketing strategy. Social media is great to give your event the final push after content marketing has established a credible presence. Social media should be closely based on your content marketing strategy rather than decoupled from it. Adapt content from your main content marketing strategy to be more efficient as well! Building-up engagement to the event day itself to ensure the event stays in people’s heads. Post useful content or interesting aspects of the event. Get people excited with giveaways or backstage passes. Avoid spam at all costs. On the day engagement is very important as well. Remember to remind your attendees to use the hashtags you’ve created. You could get people to like your group to access resources or enter lucky draws! 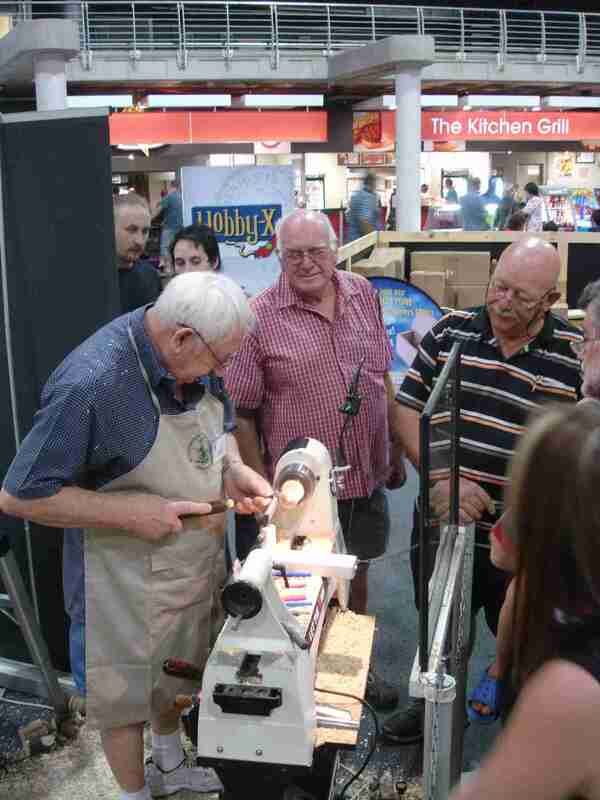 Social media engagement is a must for events targeted at a younger audience. Create a Facebook community easily and keep your followers updated! It is also very important to time the release of content strategically. Put effort and thought into your editorial calendar. Pushing out content too closely together can lead to media fatigue. Releases that are too far apart can leave your audience hanging and even forget about your event as time goes by. By strategically releasing content as well as linking it to public holidays and current affairs, every media push is maximised rather than drowned out. Easy and usually free of charge, listing your event on event directories and lifestyle portals such as Yelp, Timeout, InSing in Singapore can help your event gain exposure to wider audiences. But again, be strategic in choosing directories and lifestyle portals. Pitch your event to make it as relevant as possible for the event directory. You can also list your event on any association, community, affiliate or event calendars who reach out to your target audience. Check out this list of event directory websites you can start with! People like finding friends to go to events with so offering a group discount gives them more incentive to spread the word about your event and bring more people to your event! And when people come to your events in groups, they tend to remember it better when as they have a friend to remind them about it. Group discounts are useful in increasing incentive for your target group to bring their friends! Event planners have so much on their minds that it’s easy to neglect the very people the event was planned for. An event registration management software helps make event-going convenient for event-goers and helps simplify the management of attendance and ticketing for event planners. Registration management software allows event attendees to save the event in their calendars when they access the event page. They also allow event planners to blast email reminders nearer the event date in a click of a button. These event pages are also easy to share on social media and makes it easier for event attendees to invite their friends. Event page that allows users to add event to calendars. Sharing on Facebook also helps them remember event better! 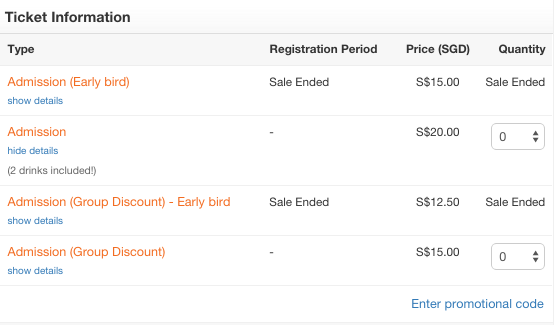 By having event-goers register even if the event is free, event-goers have to stay on the registration page longer to fill out their particulars and this helps them remember the event details better. At the same time, the registration management software provides flexibility to event organisers to make the forms as simple as possible so that it is as easy as possible for event-goers to register. The software also automatically sends a further confirmation email to event attendees after they have registered, making it even harder for them to forget the event. Want to try out free event registration software that can help you increase efficiency substantially? EventNook can help you set up an event page for free if it’s a free event! 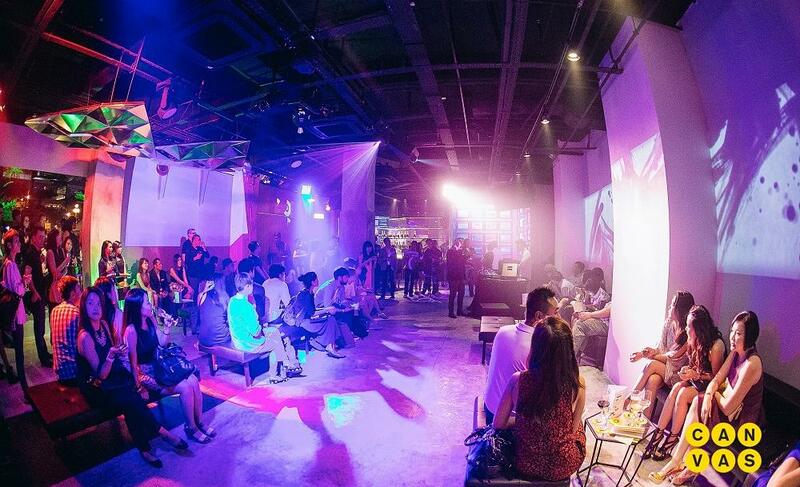 Singapore’s events industry is abuzz. 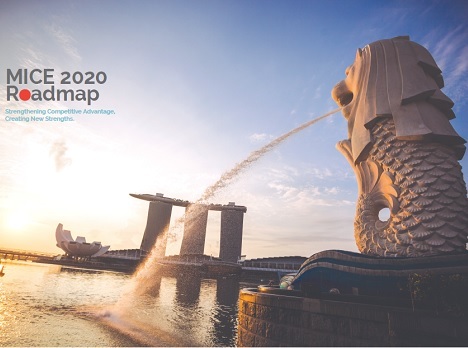 Community events will see a surge due to SG50, more MICE events will be coming to Singapore with the opening of new MICE venues, and more companies will be rushing to organise corporate and social events as they see the value of events for marketing! 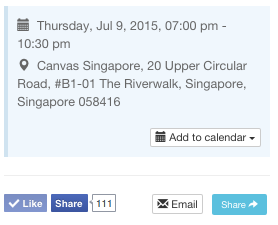 Brace yourself event planners in Singapore! You are about to get even busier. 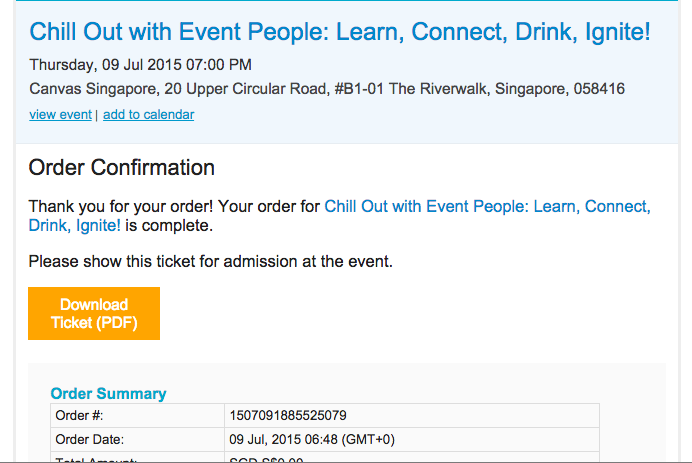 EventNook has decided to kickstart an event series for events people – “Chill Out with Event People“! We want to bring the small and big players in Singapore’s event industry together and help small but innovative companies gain exposure. We have brought together venue owners, suppliers, non-professional event planners, photographers, marketing agencies and whoever makes events happen, so that everyone can mutually benefit! Event planners have the opportunity to learn about new services out there, new companies have the opportunity to speak to the giants in the industry, tech companies like us will be there to share the latest in events registration and check-in systems (and other new tech), while obscure venues can gain exposure. It gives event planners unprecedented access to innovation and partnerships, and sows the seeds for new types of events to be created. At present, the Singapore events sector is full of ideas and energy, but events for the events people to harness this dynamism and potential for collaboration is still lacking. Events people are too busy looking outwards, that there’s little time to slow down and look inwards. Even as networking events in other sectors increase, as seen from the numerous meetup groups, facebook groups, and events on our own events page for startups, engineers, marketers and so on, networking events for events people throughout the industry are minimal. 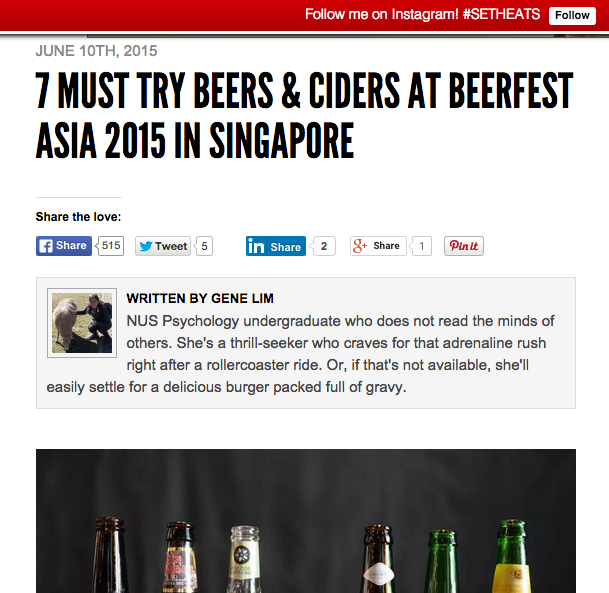 We need a recognisable Singapore events community. 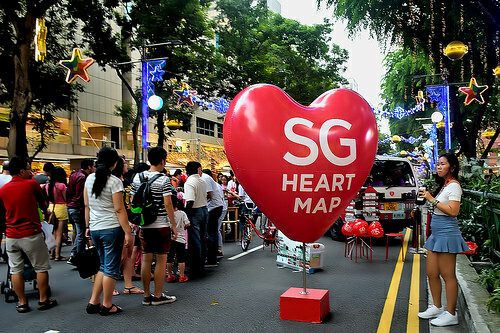 Singapore’s ins and outs can be showcased to the world only when event planners uncover her hidden gems. More networking amongst events people in Singapore will allow events planners to uncover new services, new venues and new ideas. If we want to achieve the vision of giving visitors authentic local experiences (MICE2020), we need to collaborate more. If you want to know more about the events industry, learn insights into event marketing, mingle with fellow events people or showcase your company, the first installment of Chill Out with Events People will be on the 9th July, 7pm at Canvas Singapore so register now! CANVAS Singapore is quite the creative space! A great opportunity to get a feel of the venue for yourself! 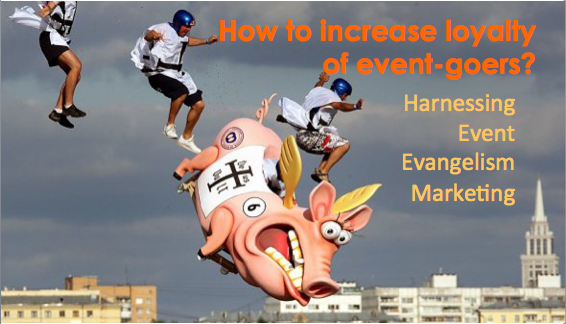 Event evangelists (event-gelists) do such a great job with evangelism marketing, they might in fact be angels sent down from event planner heaven. Event-gelists are event-goers who market the event to their friends on their own accord, defend the event and its PR troubles to their deaths, and bring in ticket revenues repeatedly. Event-gelists have the authenticity and connections that a sales team doesn’t. They understand the market in ways you can’t. Building event loyalty is at the heart of nurturing event-gelists. The more event-gelists you have, the more self-sustaining your event marketing strategies become. Events that resonate emotionally find a more loyal event following. Emotional marketing language is important in helping you connect with event-goers. Emotions such as excitement, sadness, embarrassment and compassion are strong levers of action. Charity runs, events like Singapore’s Pink Dot that centers around a controversial issue, and TED conferences that evoke thought and perspectives that link to social issues and impact are clear people winners. It’s much harder for a corporate event organiser to connect emotionally. But as long as you develop empathy for your event-goers and address their professional woes in an open manner, your events-goers will see your relevance and view you as an event organiser that is in the loop. This develops greater trust and credibility for your event and helps you stand apart from most events that do not address real problems. Targeting a smaller segment of your potential market can also help you win more loyal followers. Niche events tend to generate a much more loyal following because people feel like they own the event. If they see it as a part of their identity, they will feel more compelled to share it with their networks. You may sacrifice mass appeal in the process but don’t underestimate the power of event-gelists who can potentially infect a wider network with their enthusiasm and passion. At the same time, choose a niche that people are genuinely passionate about. 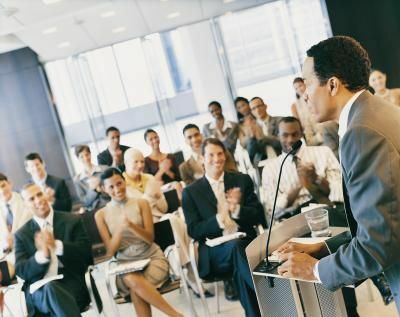 By thinking about how you connect with your audience and doing so on a deeper level, your ties with your community become much stronger and your event becomes much more influential. But before planning the event, you need to peer into the brains of your event-goer (or potential event-goer). Then, sift out the event-goers who may become event-gelists. Identify their characteristics and ask what is still preventing them from becoming event-gelists. By relating on an emotional level while keeping your eyes and ears close to the ground, you can develop a personality for the event that resonates with your target group. Redbull markets its energy drinks as a booster that gives people ‘wings’ to do crazy things. 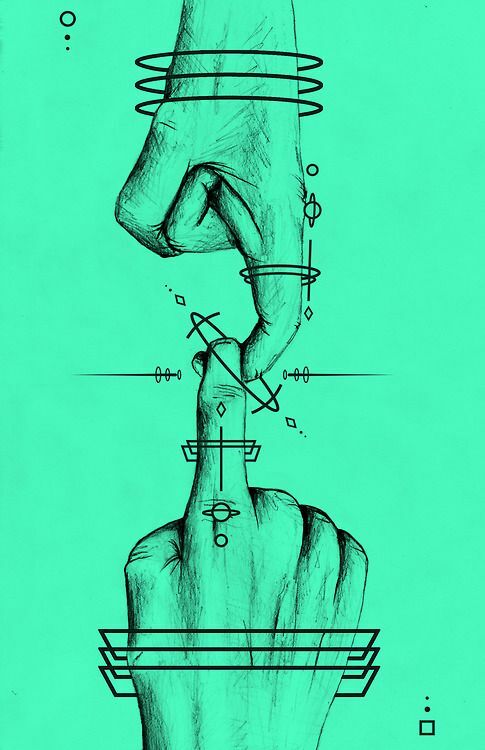 Its most famous event, Flug Tag, which involves people building flying machines and pushing it off a pier, is precisely designed with their target audience in mind, the crazy and adventurous people who do outrageous things, or like watching others do outrageous things. Don’t hardsell your event. Instead, exude a personality. Social media and forums are a great way to push out this personality because you can share personalised and useful content regularly. You also get to interact one-on-one with your target group, which makes your presence online seem more genuine. 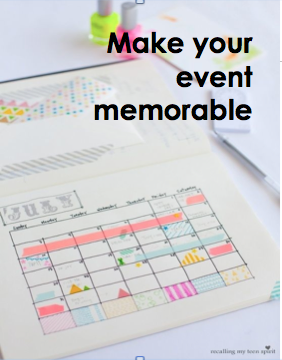 You could also plan mini events in the leadup to the big event such as by having meetups or classes that link thematically with the big event to communicate event branding. It’s a great way to hype them up by giving them a taste of what’s to come. It also gives you the opportunity to understand their reservations and resolve them beforehand. Influencer marketing can also help you reach out to your target group. I previously wrote about influencer marketing in greater detail here. Influencers are trusted communicators in the community and if you successfully engage them, they could even even become your event-gelists! 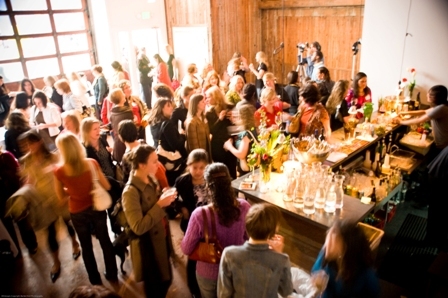 Their insight into the head of your targeted event-goer can be extremely valuable. Associate yourself as much as you can with things, topics and people that are linked to your event personality and branding to get the word out! That means being consistent with branding on all platforms when marketing events. Achieving a balance between customising the experience to individuals and being relevant to the entire group at the same time is very challenging. That’s why long-term communication is important to event promotion as it enhances trust, shows commitment and creates more opportunities for you to successfully connect with the different individuals within the targeted community. While I have mentioned developing an emotional connection, event merchandise can augment the personality as well. Again, make sure it is consistent with the brand you are projecting. 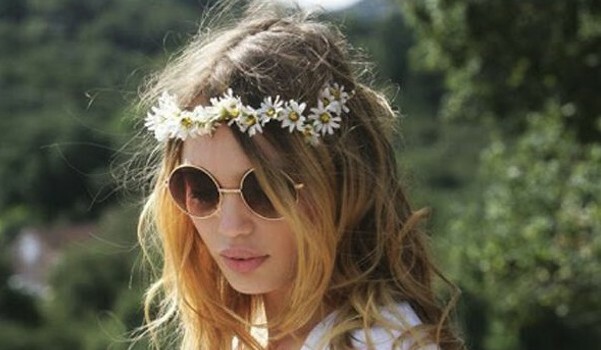 Merchandise like flower crowns at music festivals, T-shirts at conventions, glow sticks at night runs etc. are things that event-gelists can collect and easily show off. These collectibles are another avenue to increase excitement for the event. Ultimately, you do not gain a loyal event following overnight. Event organisers need to continuously engage with the community in a consistent and genuine manner to nurture event-gelists, who are not just loyal to your event but loyal to the company because they know you have their best interests at heart. Support your event-gelists and produce useful and meaningful content and products to sustain customer loyalty. No matter how much community engagement and event marketing you do, the quality of the actual event is what keeps people coming back. So plan a good event that is enjoyable and demanded by event-goers and your event will fall in place! 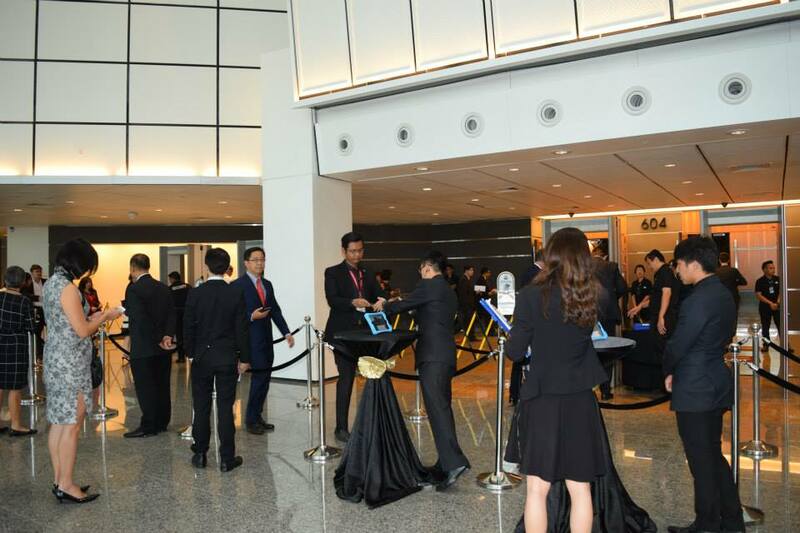 EventNook helmed the event registration management and guest check-in process for the prestigious SMU Ho Rih Hwa Leadership in Asia Public Lecture Series on 30 June 2015 at the Suntec City Convention Centre which saw around 3500 guests in attendance. The event brought together distinguished global leaders, business leaders and students. This year, the lecture was given by Prime Minister of Singapore Mr Lee Hsien Loong. Previous speakers include former Minister Mentor Mr Lee Kuan Yew and Nobel Peace Prize Laureate Aung San Suu Kyi. EventNook provides innovative event management solutions with our online and mobile-based event technology to manage guest pre-registration and onsite event check-in. Our system allows for real-time attendance tracking as well as the synchronisation of attendance information between devices. Eventnook congratulates the organising team from SMU on the resounding success of the event. It surely has left a mark on the SG50 dialogue. If you are planning an upcoming event, try out our mobile checkin app here today! 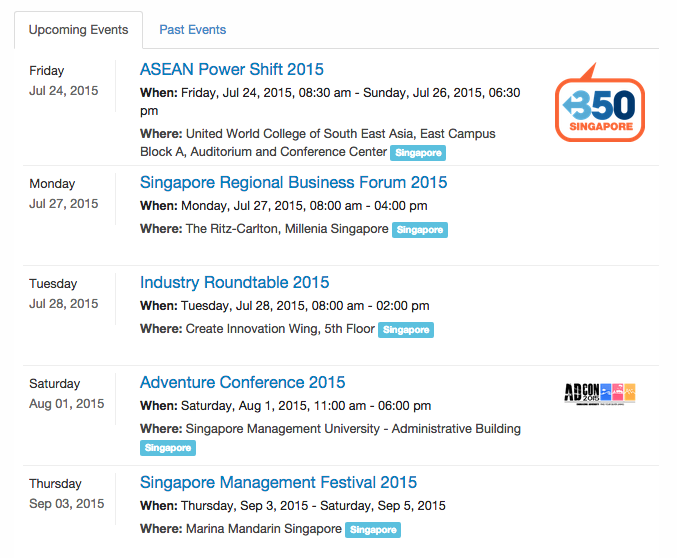 EventNook is a Singapore-based event registration, ticketing and check-in company. We empower event organisers in Singapore, Thailand, Malaysia and Myanmar to plan better events by providing comprehensive end-to-end event registration and check-in management solutions that integrate online registration and onsite check-ins. Influencer marketing has taken a grip in many industries like F&B, automobile and fashion. We see the likes of Marshawn Lynch and Zoe Sugg rake in fortunes as the brands they work with become more visible. For the events industry, influencer marketing holds much promise. It can lend credibility to the event, bolster its presence amongst primary audience and add to the buzz so that this influence spillovers to your secondary audience by word-of-mouth. But events come and go. Every few months, event planners plan a different event with a wholly different audience. There is little chance to continuously engage with influencers. However, for those events that will happen again in the future and is limited on budget, influencer marketing may be the most efficient way of reaching out. In order to do so effectively however is not easy. We must first know the audience we are targeting to get the right influencer. Who really is the audience? Where do they lurk? Cast your nets wide initially and test the waters. See which platform gives you the best response. A young audience need not always respond best to Facebook or Twitter. Pinterest may not be the best for selling crafts. Some listing website might be your main source of attendees. Then, once you know your audience’s preferences and tastes and also where they are usually browsing, you are then in a better position to choose the influencer. Event planners need to be extra context-sensitive. If it is a local event, go for local influencers as you can achieve more results by focusing on a niche audience rather than spreading yourself too thin. Knowing your audience, what they are usually searching for and where they are lurking can help you establish some search terms or hashtags that are popular amongst the audience. This can be used to find your best influencer. It’s best to choose influencers who are already fans of the event, event topic your company, or what your company stands for. That way, they can be more authentic. Plus they have already established some credibility in that domain and can transfer that credibility to your event. Research on how the influencers usually post, what they are comfortable speaking about and their personality types. Are they educators, activists, testers, journalists, etc.? Then you will need to craft your content with them in mind. – Long before the event, begin producing content related to the event and get your influencer’s endorsement or quotes. They will be more than glad to share content in which they are mentioned as an expert. Just remember to tag them or give them a shoutout when sharing! – Choose a great theme that audiences will be excited about. This will enable the influencer to engage better with their audience. Well-crafted social media terms (hashtags, an events page) that are easy to remember and catchy will also allow influencers to drive more traffic to your sites. Get the influencer to the event and give them some airtime so that they can work their magic. List them as a speaker or allow them to have official coverage of your event. Provide an opportunity for them to make an official appearance onstage. Make sure everyone knows that the influencer is actively supporting your event! Your event also has room for other local influencers so remember to invite them! Live events are a great opportunity for influencers to come face to face with their audience as well as be involved in a larger scale event. But it’s not just about the influencers working their charm, you should to! Take the chance to further solidify your relations with smaller-scale bloggers by speaking to them face-to-face, as well as giving the influencer the recognition and attention they deserve so that they will want to help you again next time and continue talking about you. It’s a great chance for everyone to come together and connect so network like crazy! Make sure you capture live content from the event itself to be repurposed later. Get team members to take footage or do a fun photo op with the influencer! Then, build more content upon the event. This will add to expectations for the event to run again and help to sow the seeds for the next time. Remember to continue engaging the influencer. With social media, it has never been easier to boast about your relationship with the influencer to the whole world. Retweet, reblog, share, comment and upvote each others’ content. Don’t forget to thank each other after the event as well (another opportunity to authentically mention influencer)!